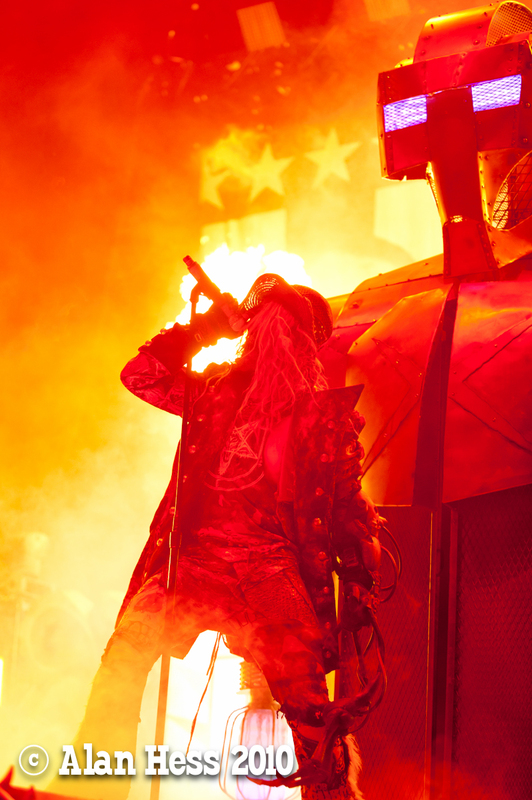 This was the hardest shoot of the night. 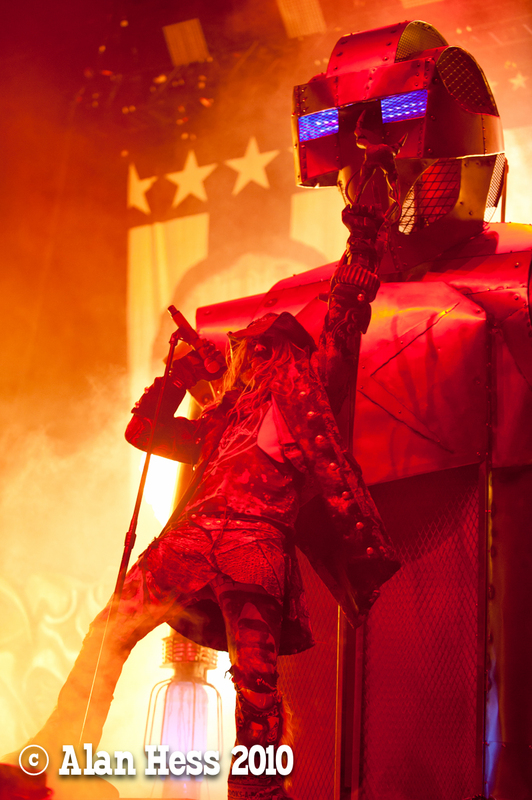 Giant metal robots and fire balls combined with frantic movement and terrible lighting made this one tough. 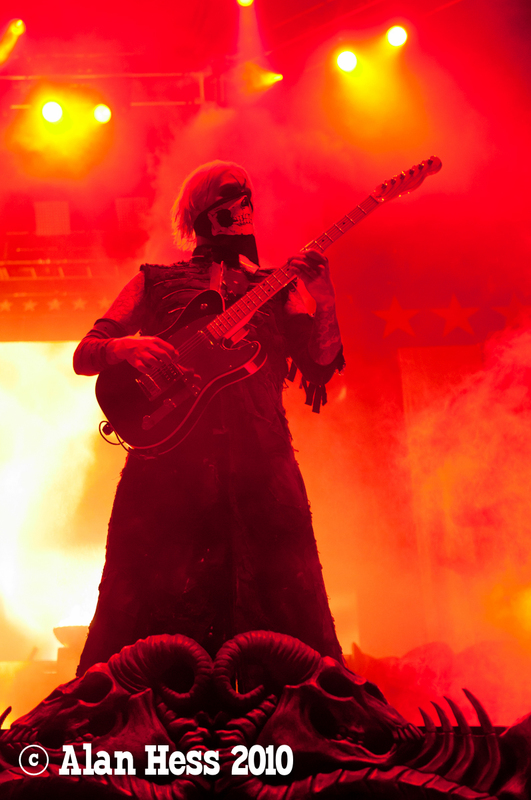 Then we were kicked out of the photo pit after two songs instead of the regular three. 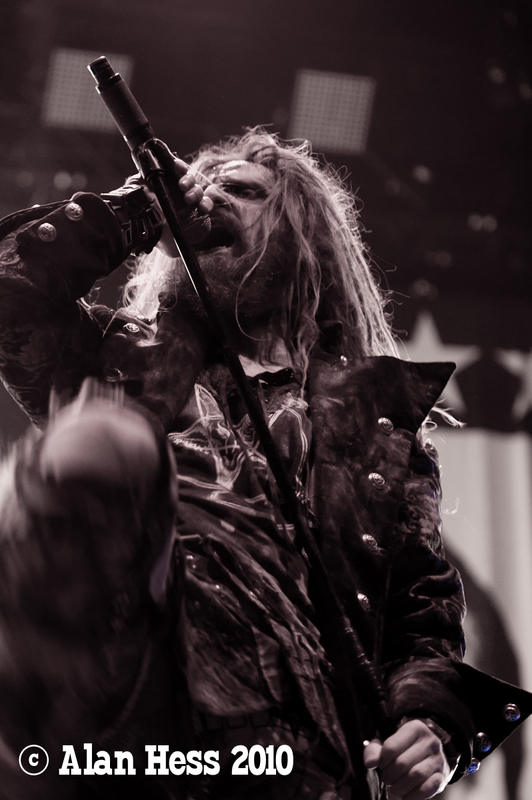 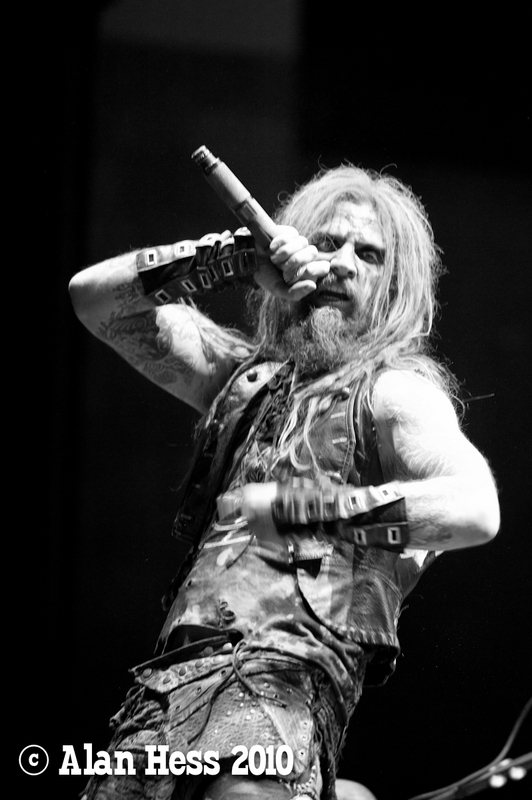 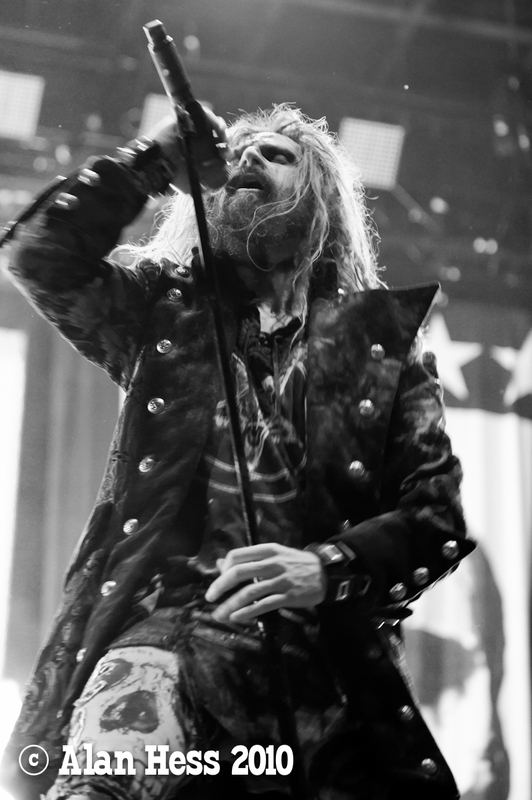 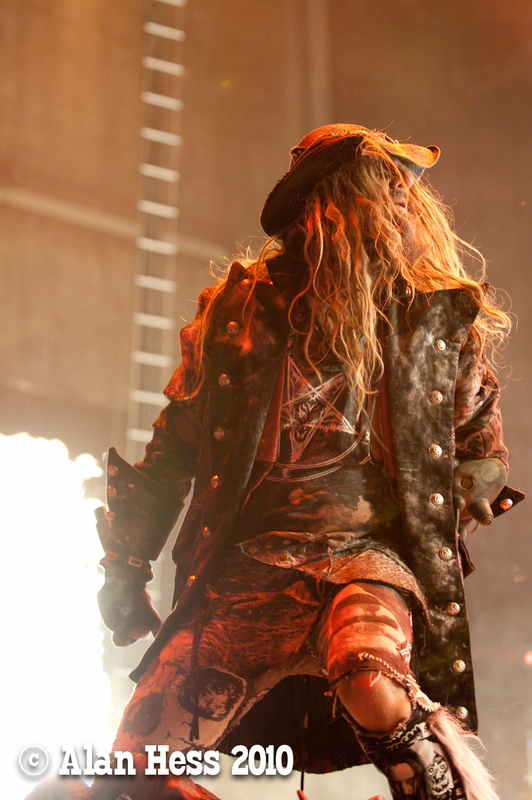 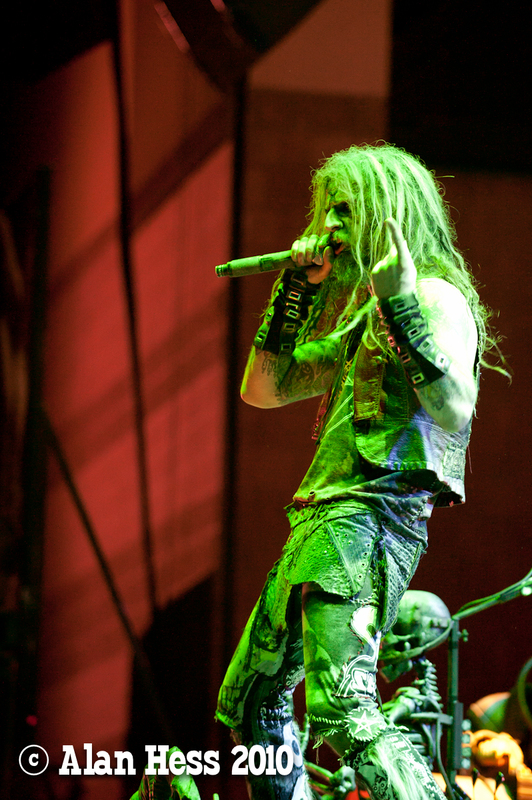 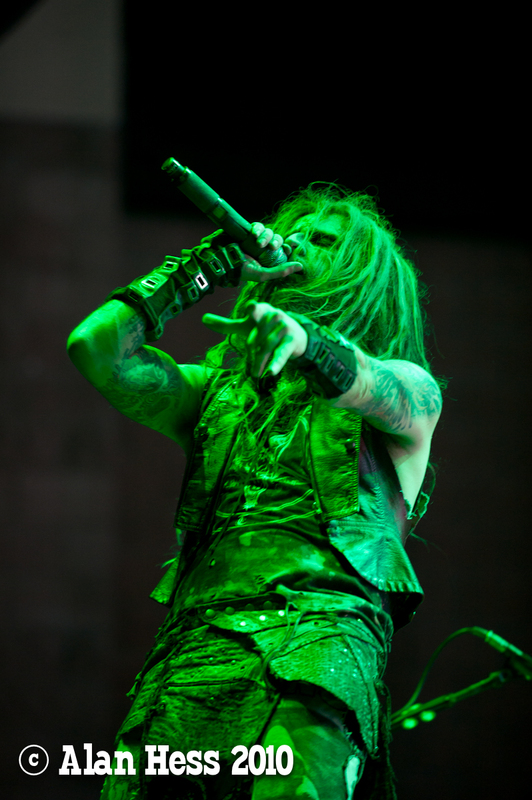 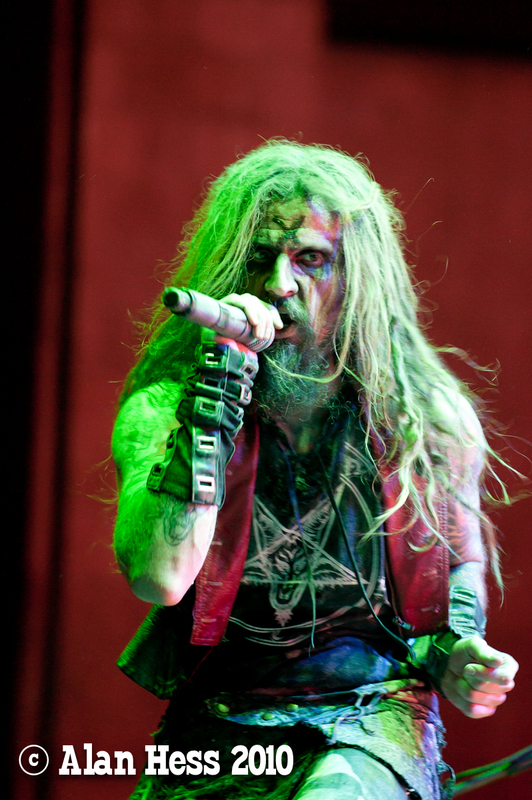 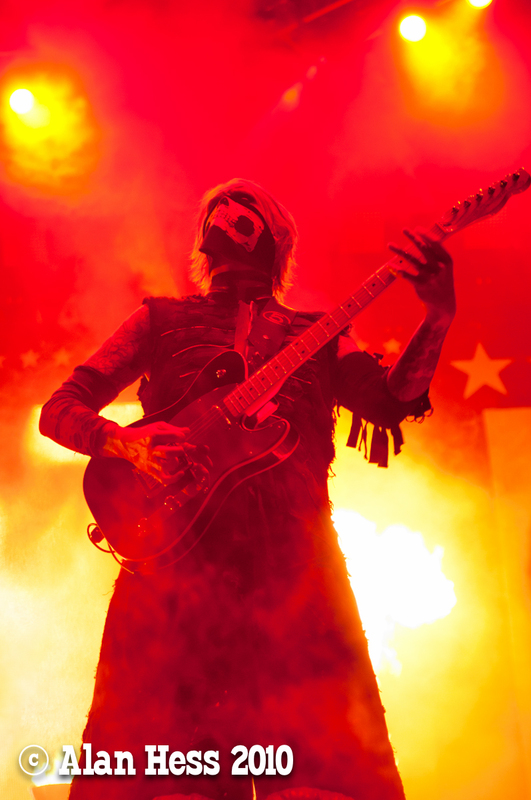 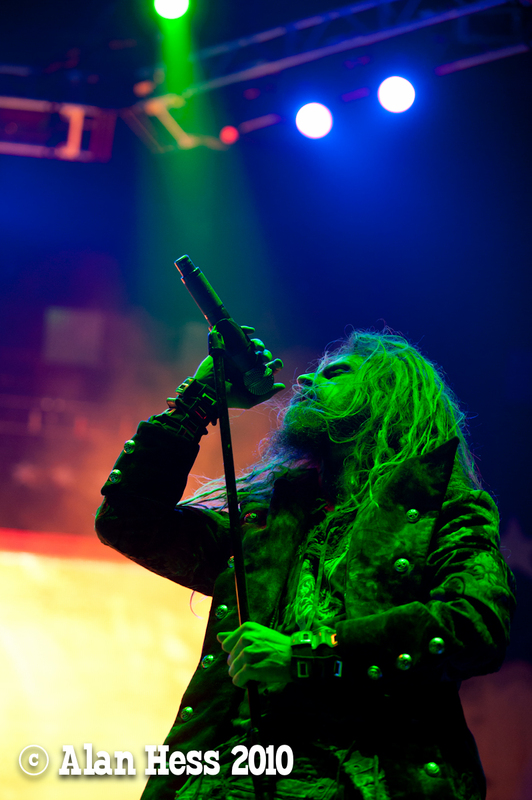 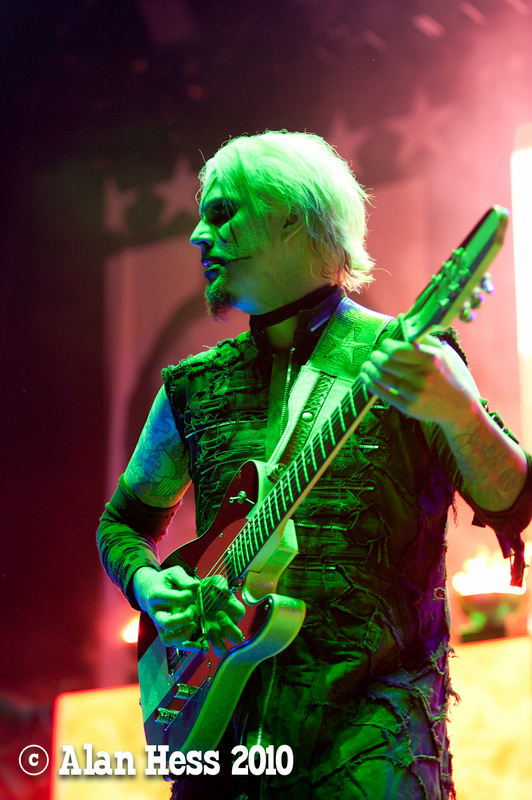 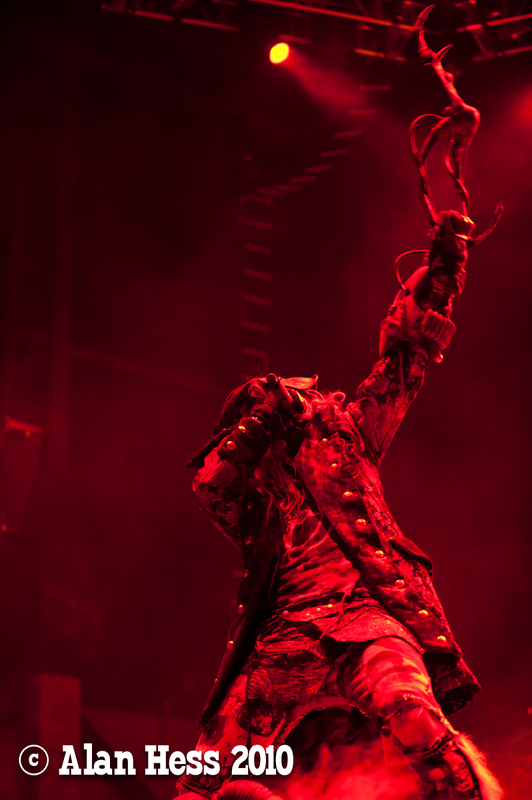 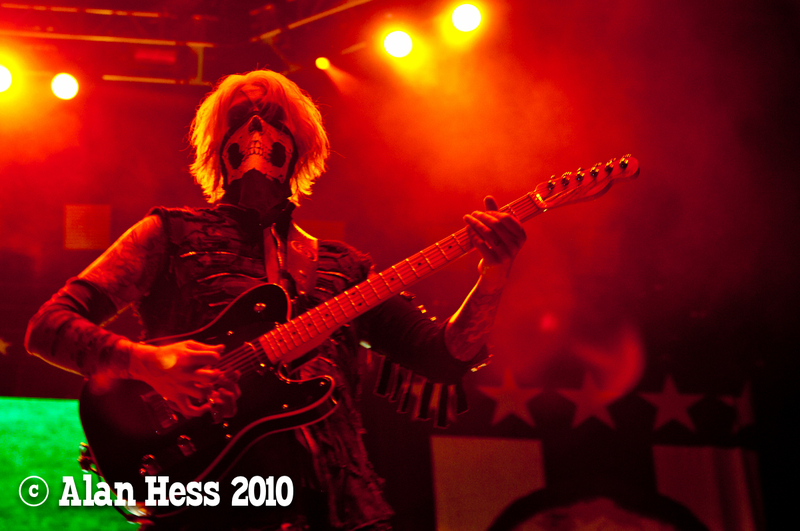 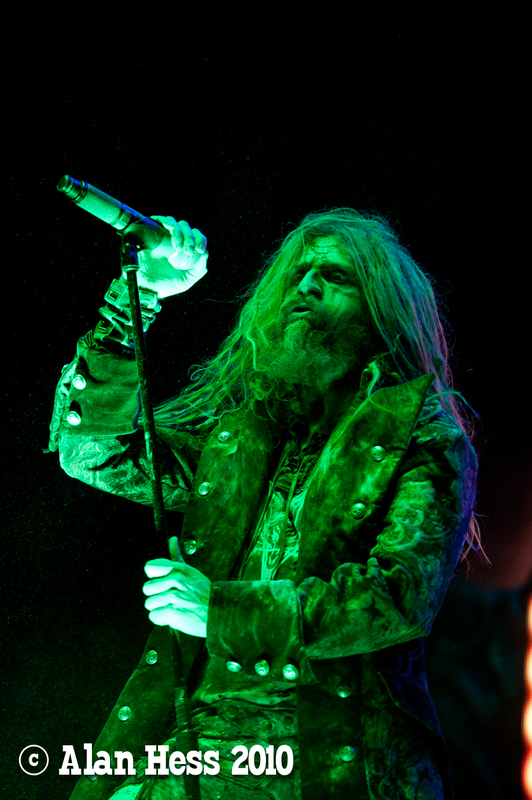 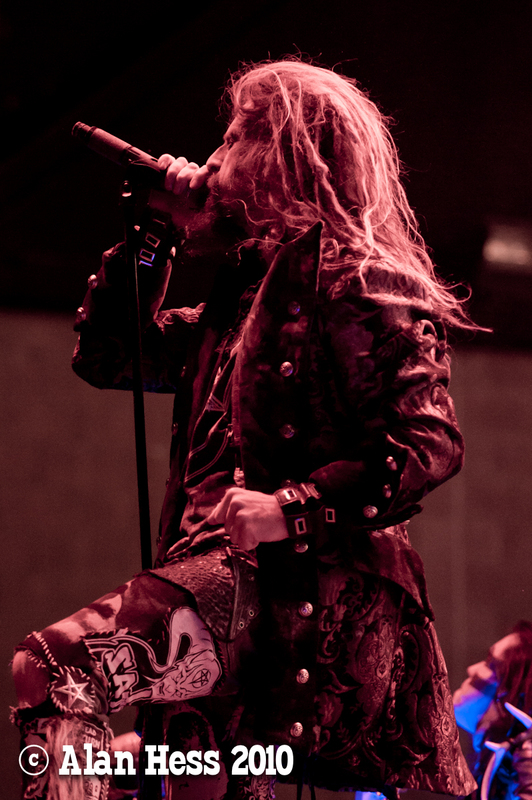 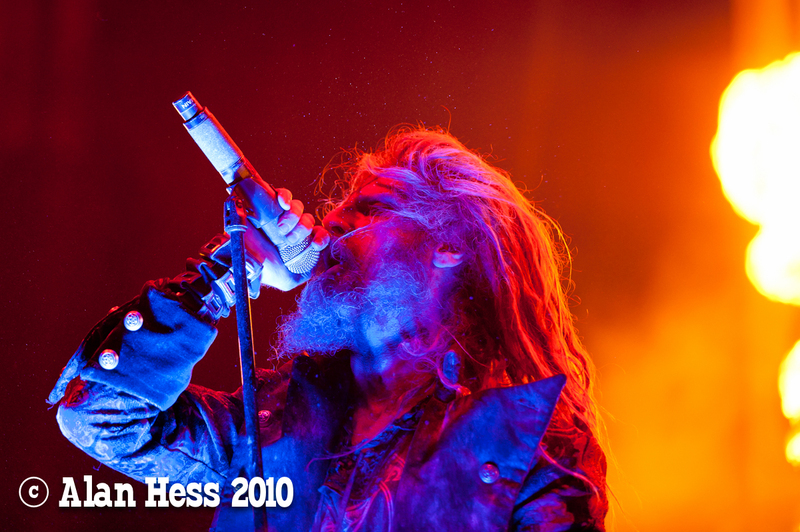 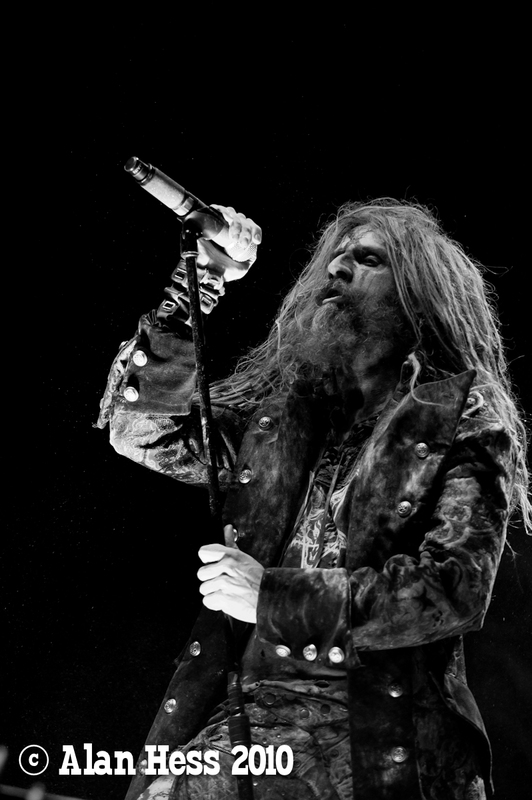 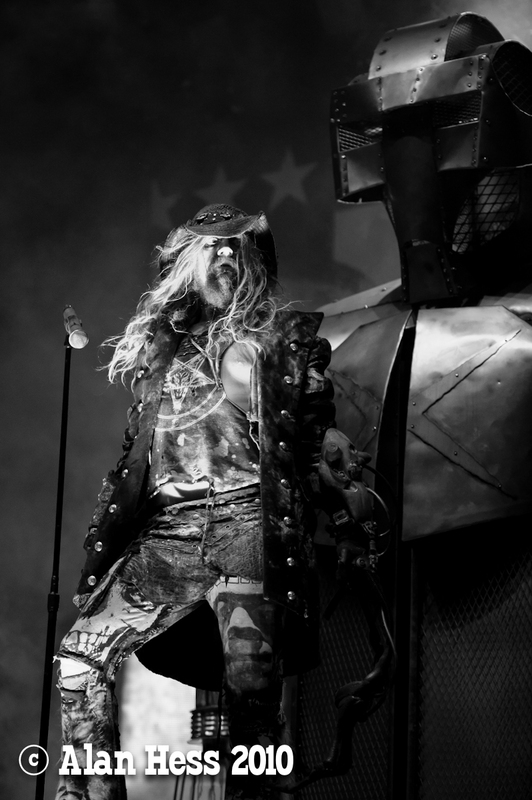 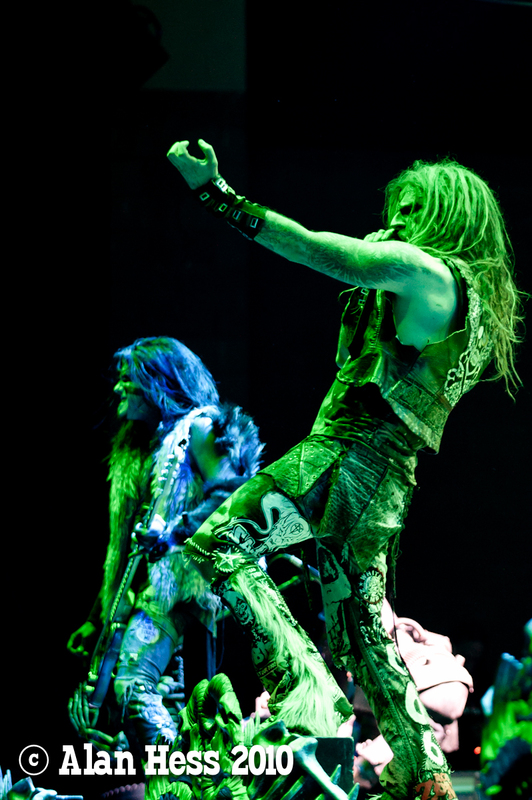 Rob Zombie came out of the giant robot in long leather coat and hat, with a odd appendage attached to his left arm. 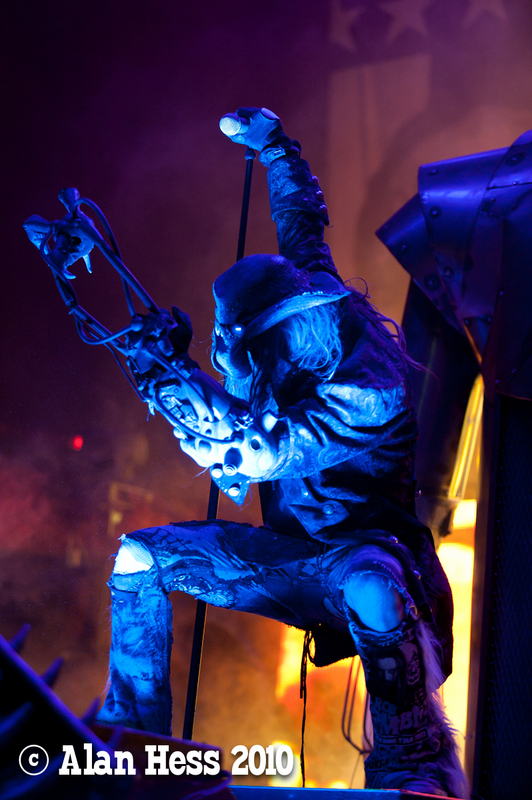 The danced around behind the monitors swinging the microphone stand then ran to the far edges of the stage. 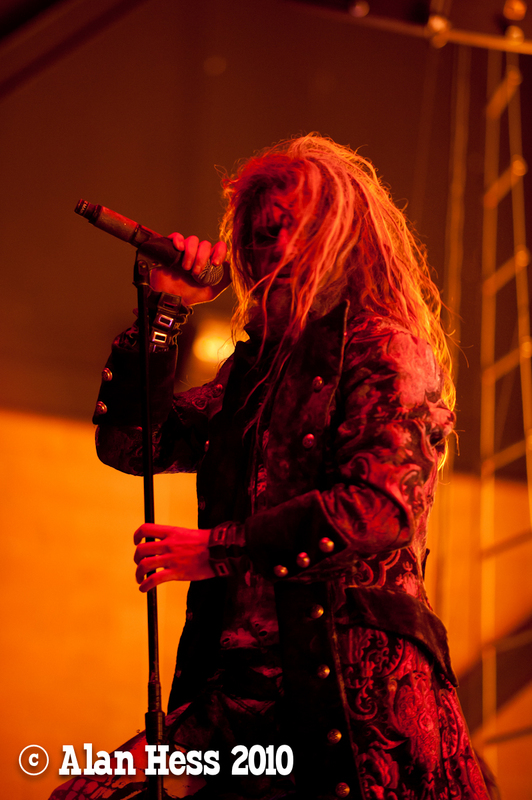 All in all a very frustrating experience. 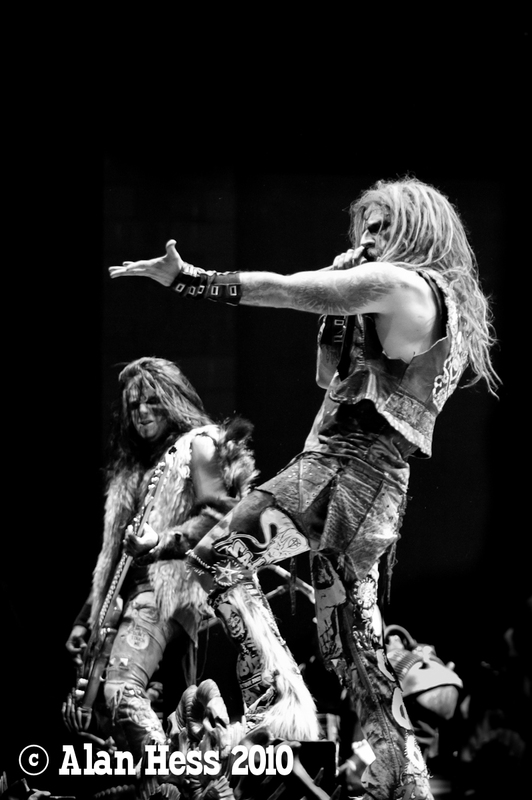 But still, if every shoot went the way we wanted it to, then life would be boring.